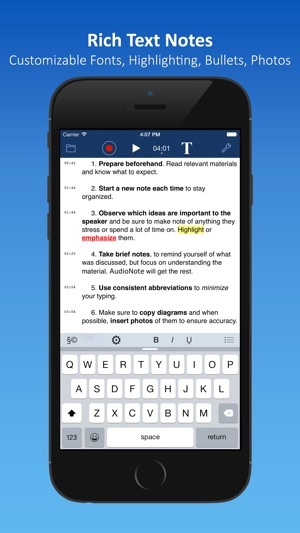 Record notes and audio synced with the best note taking app in the App Store! With the convenience of the iPad or iPhone, you can use AudioNote anywhere: meetings, interviews, conferences, lectures, study sessions. 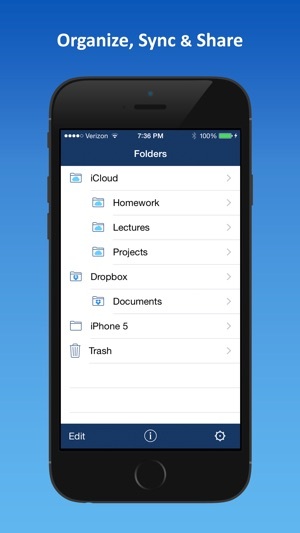 Even use it to record memos to yourself as you jot down new ideas. Join the thousands of students, teachers, business executives, and other professionals who have already discovered what an indispensable tool AudioNote can be. Try it today! 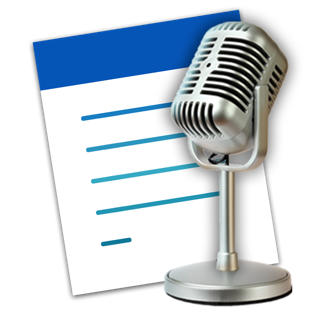 Note: AudioNote Lite is intended as a free viewer for AudioNote files and also includes demo recording functionality, limited to 10 minutes of audio per note and 2 hours total. 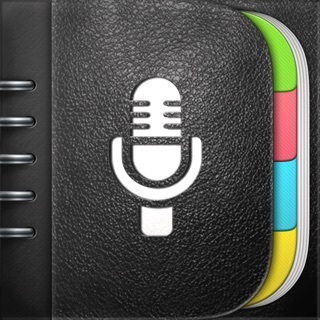 For unlimited recording and improved sharing options, upgrade to the full AudioNote - Notepad and Voice Recorder app. 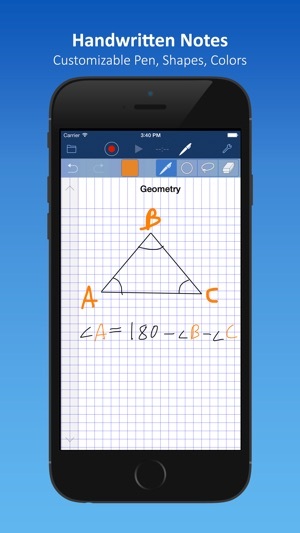 This is one of the best note taking apps I've tried. 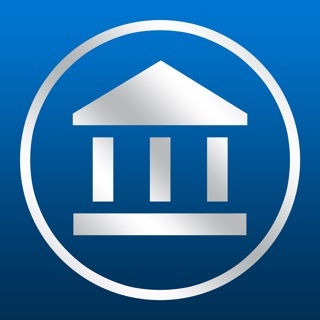 I have deleted every other app I installed on my ipad since trying the free version of this app. I am going to upgrade to the full version which will allow for emailing notes to others. I especially like the recording feature, and the option to type your notes instead of writing if that is what you prefer. 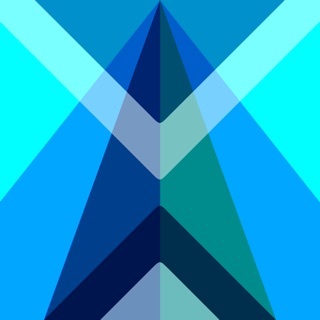 Used this app during a teleconference with my supervisor and one other attendee. At the end of the call, which I recorded while jotting down notes as well, my supervisor asked a lot of questions about how this app worked. I think she's going to get it as we'll. Although the recording time on the free version is only 10 minutes per note, I just kept adding new notes. Reviewing each 10 minute note was as easy as flipping a page in a book. 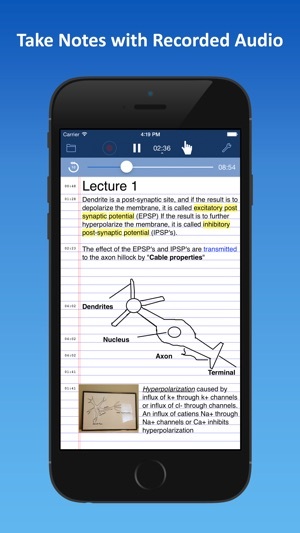 I was looking for an app that would enable me to use the iPad instead of investing in a LiveScribe pen and expensive paper option that would record audio while taking notes. This app seems to fit the bill. Even though I have to say despite not having the best handwriting, writing on the tablet even with the stylus is a far cry from writing on paper. Having said that I also found a strange bug in the app. If you click on the Folders button and click Edit (which is where you would select notes to delete etc. ), if you happen to tap the Folders button again it basically grays out the whole app screen and you cannot get back into it. The only option seems to be to press the iPad button to exit to the system and force quit the app and relaunch it. Try it out. Glad I tried the free lite version before spending $5 on the full version, which I am likely to buy if these minor annoyances are fixed. But those moaning about the recording time limits on a free version, try yourself developing an app that does something like this and give it away free, then complain. 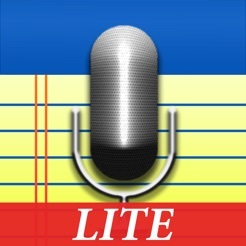 Those who expected it to transcribe dictation, consider reading descriptions before buying an app. Thanks. I definitely give this app a strong endorsement. I use it to take notes when I meet with new clients. I am able to either type the notes (with my bluetooth keyboard) or hand write (I ordered a stylus, but haven't tested it yet). But the feature that is most useful is the voice recording. 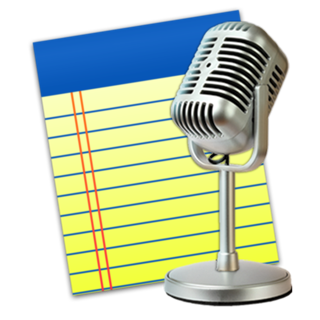 I can voice record while taking notes, so that i can re-listen to my meeting. While re-listening to the voice recording, I can fast forward or rewind via the playback feature by simply sliding the voice bar left or right. Lastly, I has an easy system to organize notes, which I do by client.